Deputy Prime Minister Men Sam An on Wednesday called on authorities to heed a directive issued by Prime Minister Hun Sen in 2015 and prevent residents from lending their farm land to citizens of bordering countries, especially citizens of Vietnam. Ms Sam An said Prime Minister Hun Sen issued a directive four years ago banning the lending and leasing of land to citizens of other countries in order to maintain national sovereignty and territorial integrity. Mr Hun Sen said at the time that the directive was meant to ensure that residents use their land for cultivation and to ensure that people respect demarcated lines. However, the move did not stop residents from lending their land. Last year, former Takeo Provincial Governor Lay Vannak said he had to request his Vietnamese counterpart in An Giang province to stop their farmers from renting Cambodian land. 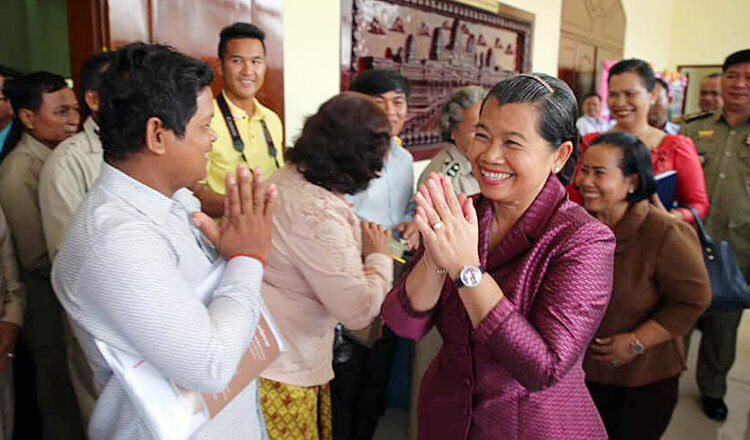 “Authorities need to disseminate this directive and educate people who are living along the border to stop lending their land to citizens of bordering countries,” Ms Sam An said during the closing ceremony of the 2018 Stocktaking and 2019 Directive Settings Conference for the Svay Rieng Provincial Administration. Ms Sam An also called on sub-national authorities to prevent drug smuggling along the Vietnamese border.